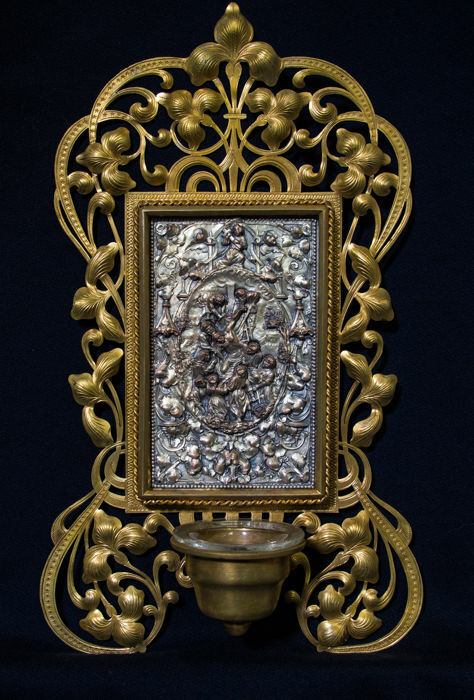 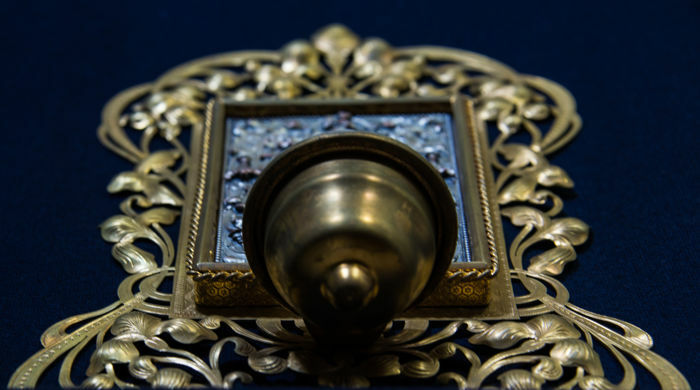 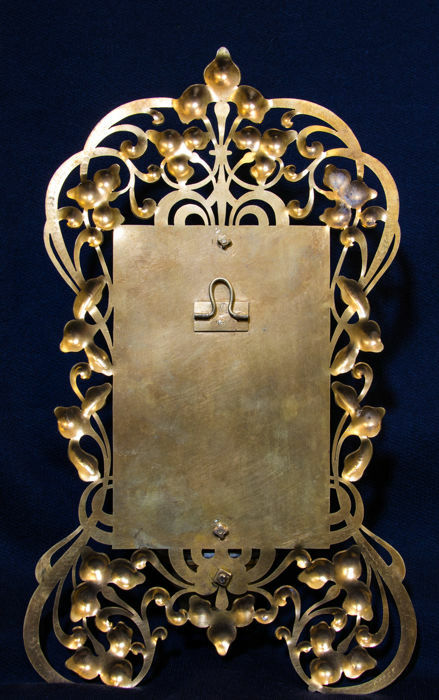 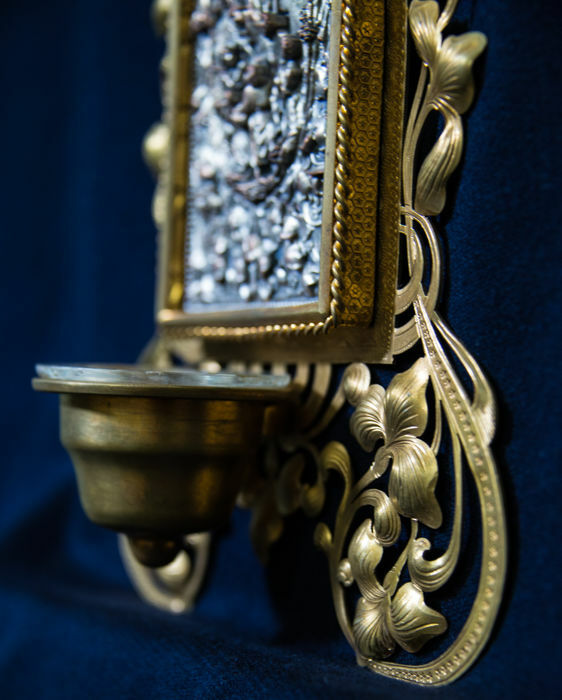 Brass home altar made by a goldsmith master. 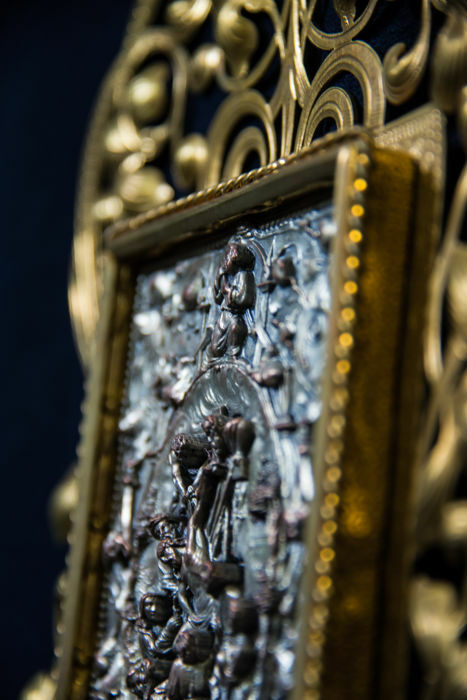 It's a rare and handmade piece of art. 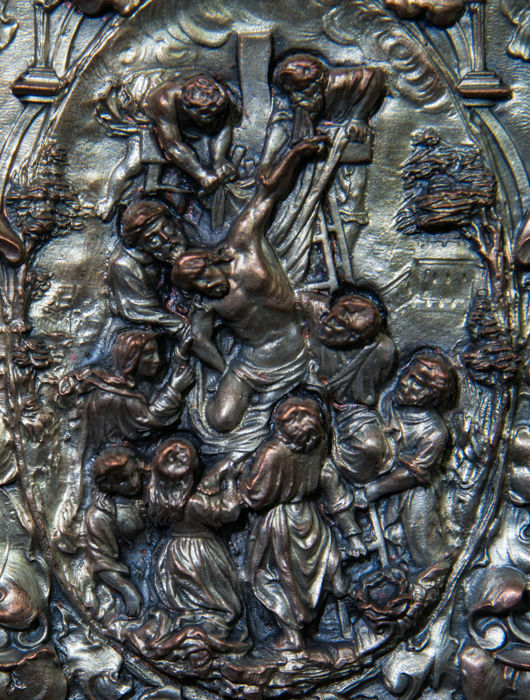 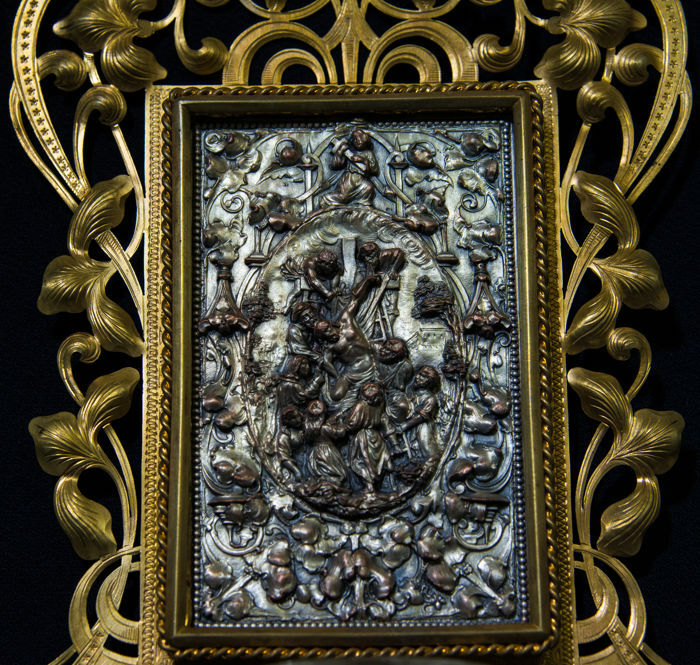 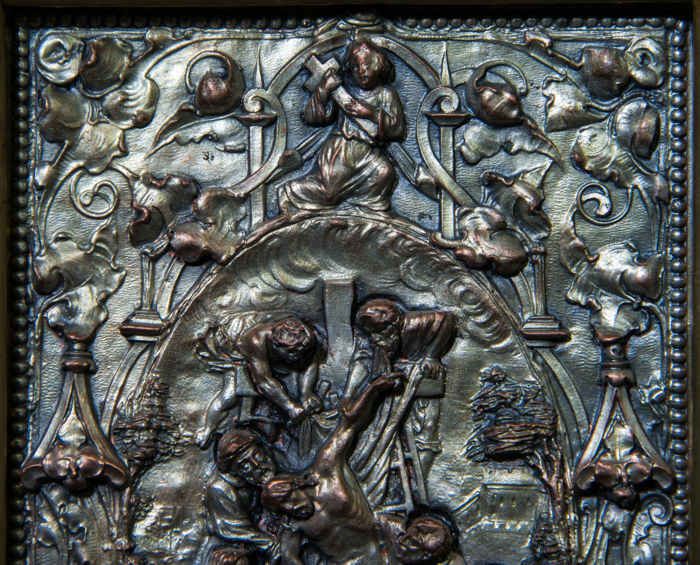 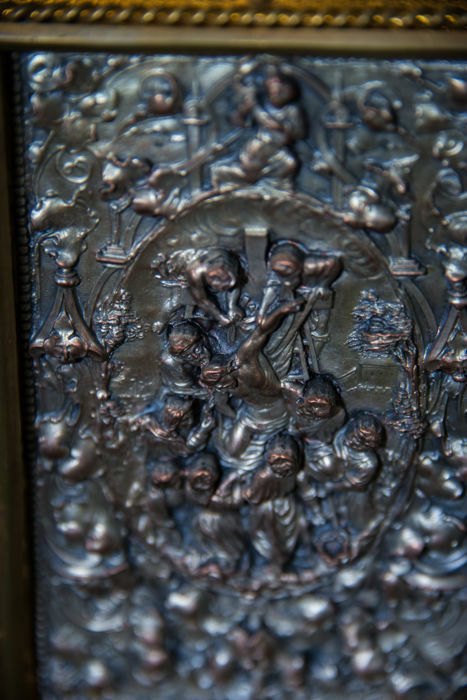 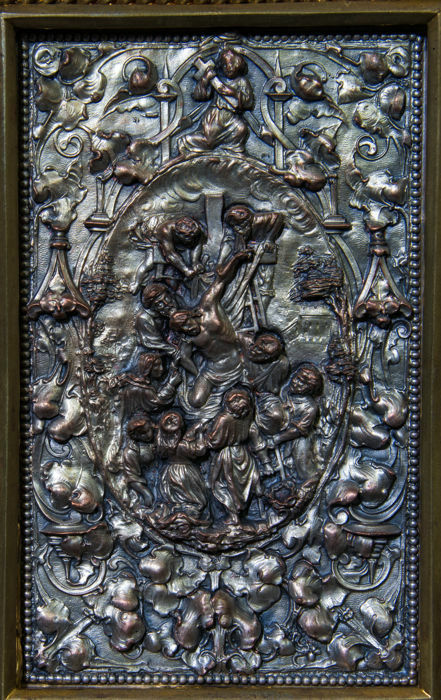 There is a silvered bronze relief in the center, "The decent from the cross". 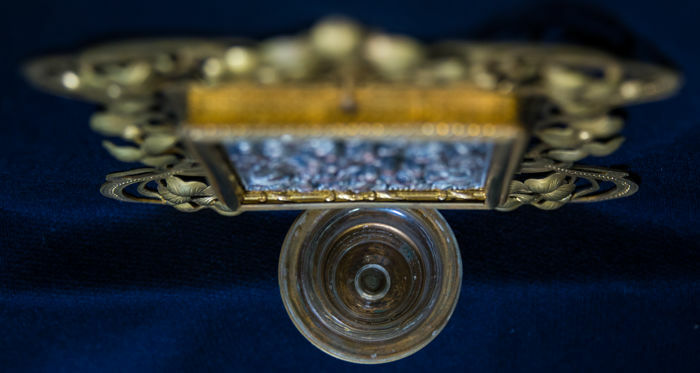 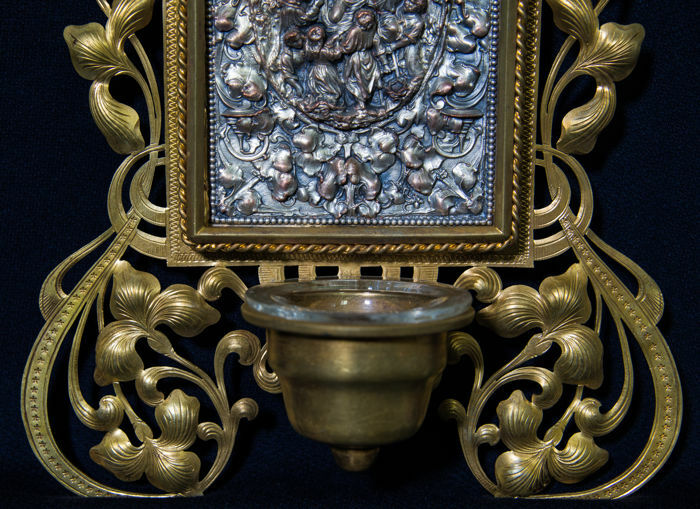 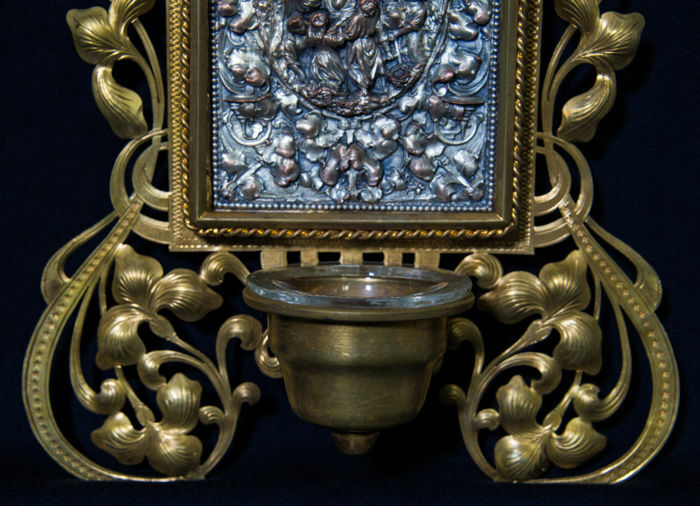 In the bottom of the altar there is a little holy water font with original glass interline. 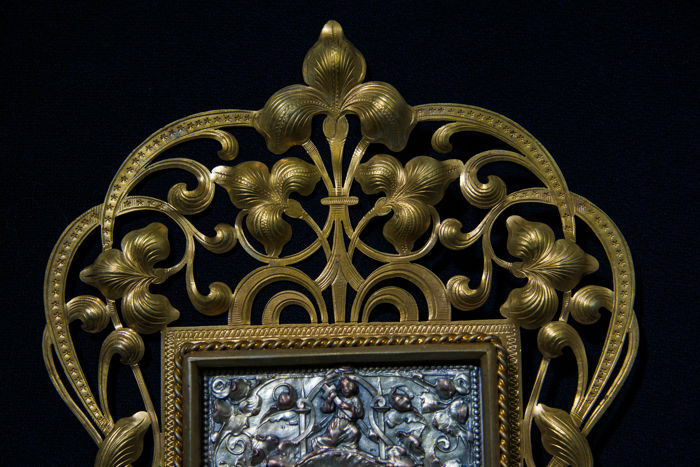 This could be a wall hanging object, in excelent condition, a really special piece of art.